The most important form to start any personal injury claim following a car accident in Ontario is called the OCF-1 Application for Accident Benefits. This is the starting point for all accident benefit claims. You will not be entitled to income replacement benefits, non-earner benefits, attendant care benefits, housekeeping/homemaintenance benefits, money for massage, physiotherapy, occupational therapy, chiropractic treatment, psychological counselling or even get money for your prescription medication following a car accident if you don’t complete the OCF-1. I’m always asked by accident victims what the best way is to complete this important form. Today I will share with you some important details on how to complete the OCF-1 properly to ensure that your accident benefit stands a fighting chance. First, you will need to know where to get the form. If you call your car insurance company following your car accident, they might send you a big package in the mail (the accident benefit package). It will be a booklet or hard to understand and very lengthy forms which look like they need to be completed by a rocket scientist..or a lawyer! In any event, it’s a good idea to consult a lawyer in completing these forms because it’s very easy to go wrong. The OCF-1 needs to be completed within 30 days from the date of your car accident. So, if you fail to report your car accident in a timely manner, or you live in Sudbury, but the insurance company’s head office is in Toronto, it might take a while for that package to get to you. Sometimes the insurance company might forget to send you the package, or it might get lost in the mail. These things happen. So, to save some time, you can find the OCF-1 Application for Accident Benefits online. The form is available at the Goldfinger Injury Lawyers Website; or you can visit the website of the Financial Serivces Commission of Ontario (FSCO) to get the form. Now that you have the form, it’s time to fill it out. If English is NOT your first language, you will have difficulty reading this blog post, and you will have even greater difficulty completing the OCF-1. Get assistance of a friend, familly member, or a lawyer. Parts 1 & 2 of the Application for Accident Benefits are really self explanatory. Just complete your name, date of birth, address, marital status, telephone #’s etc. It’s pretty basic information. I do not recommend completing your email and/or fax # for various reasons, but I won’t get in to those in this blog post. Let’s just say that some things are better left private. Part 3 of the OCF-1 gets a little tricky. In this section you are to complete the details of the accident, the police officer’s name, badge #, provide a description of your injuries, and advise what medical treatment you got following your accident. This can be difficult because most seriously injured accident victims don’t know the name of the doctors who treated them at hospital, nor will they know the name or badge # of the investigating police officer. If you don’t know that information, then it’s best not to guess and to leave that section blank. One of the other tricky parts in Part 3 of the OCF-1 is the question whether or not the you were at work at the time of the car accident, and whether or not you claimed WSIB benefits for the car accident. If you answer “yes” to both of these questions, then the car insurance company is going to give you a very difficult time recovering accident benefits. Instead, they will aks that you pursue a different variety of benefits through WSIB (Worker’s Compensation). WSIB Benefits are far less extensive and provide far less coverage than those benefits available from the car insurance company. If your accident happened while you were working, then it might be a good idea to consult an injury lawyer to discuss “opting out” of WSIB. This is a process which your lawyer can assist you with. It’s important that the opt out happen as soon as possible because the deeper involved you get with WSIB, the more difficult it becomes to opt out and shift the responsibility for payment over to the car insurance company. Part 3 of the OCF-1 also asks that if you require more room to complete the details of your injuries, or require more room to explain how the accident happened that you’re able to attach an additional form. Tip: less is more. If your injuries are very serious in nature following a car accident, those details will come out in the medical records. You might run the risk of hurting yourself by adding too many details to your claim at this early stage. A lawyer can assist you in providing a succint description of your your injuries and how the accident happened to ensure that your best interests are protected. This Toronto Injury Lawyer Blog Post is getting a bit lengthy and a bit too legal (that’s lawyer’s code for dry). I will continue with more tips on completeng the OCF-1 next week. But for now, I’d like to discuss how poorly the Toronto Raptors have played thus far. Landry Fields is a complete bust. The 1st quarter of each game is terrible and the game is over just after the first quarter is complete. Demar DeRozan looks good for a change. Kyle Lowry is a husky Allen Iverson light. 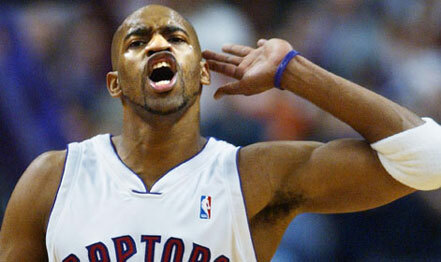 And what’s all this hoopla about Vince wanting to end his career in Toronto? Do you think that Toronto fans are ready to welcome him back to our city with open arms? I don’t think the time is right, but I can see a return in the future. Who’s to say when.